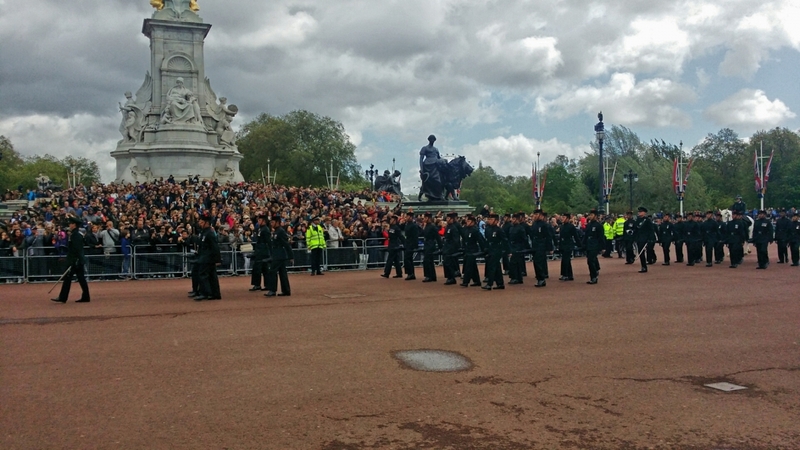 The Royal Gurkha Rifles and band of the Brigade of Gurkhas took part in a historic Changing of the Guards today in font of crowds of onlookers outside Buckingham Palace. The Gurkhas, who are celebrating their bicentenary, took over the guard duties at the Palace from the Welsh Guard, who themselves celebrate 100 years of service this year. The Queen’s Truncheon was paraded in front of the huge audiences of London’s tourists from around the world while the bands from each unit played a mixture of traditional marching songs and adapted modern pop songs. We will be getting more pictures as the different units take their place, and are expecting some images from inside the palace forecourt in the next day or so.